In order to develop a more comprehensive Fellows CL2 Certificate Course, that meets the current needs of participants advancing from the Professional CL1 Certificate Course, a new and improved CL2 Course was created in the Fall of 2018. Profectum’s DIR-FCD™ Certificate Level 2 (CL2) is an intermediate level online course designed to utilize small class sizes and an intensive 9-month process build on the participant’s knowledge and skills acquired in CL1, but challenges the participant to deepen his or her ability to conceptualize treatment plans within the framework of the model. The course advances each participant’s ability to assess and articulate individual profiles; Functional Emotional Developmental Levels (FEDLs), DIR-FCD™ principles, strategies to foster social-emotional development in a wider range of infants, children, adolescents and adults with developmental challenges. Advanced webcasts, participation in online classes and small group tutoring (in addition to the classes) allow participants to more deeply focus on assessment of various emotional, learning and neurodevelopmental profiles and implications for treatment and progress. Focus will be given to the clinician’s reflective process and ability to project and monitor developmental progress of clients over time. Advanced observation, interaction and assessment tools will advance participant fidelity in the DIR-FCD™ model. Ongoing small group reflective tutoring will provide participants the opportunity to receive feedback on his or her clinical work throughout the course. Participants will share a range of cases and ultimately present a final case in an online forum. Recurring automatic monthly credit card payments of $228/month are an option. Contact beth.arena@profectum.org for details. The following criteria must be met in order to acquire a certificate at the end of this course. These criteria should be monitored (record notes) throughout the course. 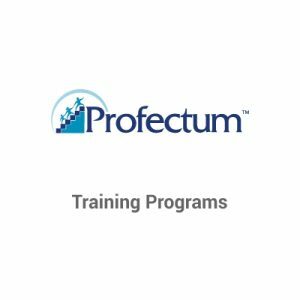 To make our training available to as broad a group as possible regardless of geography or time zones, Profectum uses video streaming and video conferencing as our standard technology tools. The course relies on you watching webcasts on your own and joining class discussions using video conferencing. You will need a relatively modern PC/MAC and modern broadband internet access. While Wi-fi can work if your home/office has excellent connectivity, a wired internet connection to your PC/MAC is highly recommended. Please contact – michele.ricamato@profectum.org – for more information. 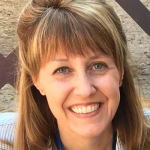 Professionals in Speech and Language, Occupational and Physical Therapies, Education, Mental Health (Psychology, Social Work, Counseling, Marriage and Family Therapy), Medicine, Developmental Optometry, Creative Arts, and others) who want to integrate the Profectum DIR-FCD model into their practice. Professional parents may take the course, but will not be permitted to use his or her own child to show their work. Online registration is easy. Click on the APPLICATION FORM link below for the simple online registration form. You can pay in full, monthly or every other month or you can register online in increments prior to beginning each Unit. See the “Course Tuition” section of this page for details. Participants must hold a DIR-FCD Level 1 Certificate or equivalent. We strive to accommodate start times and international time zones for our participants and therefore, reserve the right to adjust course start dates and times as needed. A minimum number of participants are required to run each course group. We reserve the right to cancel or postpone a scheduled group if the required number of participants is not achieved. Your application will be reviewed and you will be contacted via email by the course coordinator. Once you have been assigned to a group, you can submit payment. In the unlikely event that this program is cancelled, you will be notified immediately via email and a credit will be issued toward a rescheduled program, or the entire submitted registration fee will be refunded without further liability on the part of the organizer.